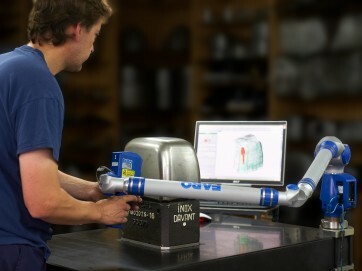 The portable CMM equipment includes a 3D laser probe for the digitisation of actual parts. This technology is useful for the dimensional control of parts and in reverse engineering tasks. The digitisation provides us with a precise catalogue of virtual parts, based on the digital processing of actual sample parts, thereby avoiding the need for a physical warehouse.